Earlier this week I picked up bags of the Steamfresh cauliflower and the Steamfresh beans, just to check. Talk about convenient: just pop the whole bag into the microwave for 4 - 6 minutes, open it up and voila, there's tonight's vegetable. And then I tasted them. And THEN I read the labels. I'm a big fan of frozen vegetables, but take these off your shopping list. GREEN BEANS: The beans tasted okay though turned out rather 'moist', soggy even. These aren't 'special', just decent frozen green beans, so not worth a price premium if there is one. On the plus side, the ingredient list was straight-forward: beans, nothing but beans. CAULIFLOWER: I really liked the cauliflower and was happy to call the whole twelve-ounce bag 'lunch' (at two Weight Watchers points a bag, that's not bad!) And THEN I read the label. IT PAYS TO READ THE FINE PRINT Because the cauliflower is 'specially seasoned', the ingredient list includes salt, sugar, garlic powder, dehydrated onion and garlic, something called "natural flavor" (what the heck is that?) and -- bad, bad, bad -- partially hydrogenated soybean oil (read "trans fat"). Why is trans fat bad? So why does the label for Birds Eye Steamfresh Cauliflower read 0 mg and 0% of transfat? Why indeed, Birds Eye? I'd love to know. Trans fat seems to be a double negative that unlike the linguistic counterpart (you know, a double negative statement is actually a positive) with nothing positive, either healthwise or so far, anyway, reaction-wise. Are you watching labels for trans fats? And did you know that you have to check the ingredient list as well as the nutrition box, to know for sure? Are you worried that your croissants will no longer be made with butter which happens to contain small amounts of trans fats, naturally? And what about the legislation to ban transfats in New York City and elsewhere? I don't know about you, but ALL this makes me boil. FROM THE ARCHIVES For other no-cooking products, see 100% Convenience in the Recipe Box. A YEAR AGO A great citrus salad -- "So pretty! And the dressing, SO delicious! Who knew that orange and cumin are such a magical combination?!" All trans fats are not created equally. As far as I understand, the "bad" trans fats come from vegetable oils that are deliberately hydrogenated. The ones that occur naturally in dairy foods like butter are there in extremely small amounts and are created due to hydrogenation by bacteria in the gut of the cow. The natural trans fats are chemically distinct from the artificial, and there is no evidence that they have any adverse effects on health (the artificial trans fats have been proven beyond doubt to be very bad for you). This is just what I have read from various sources. 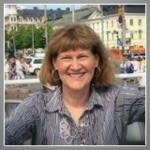 I LOVE reading your blog -- thanks for all the great info! Under American law, trans fats of under 0.5g are allowed to be labelled as 0. You're absolutely right about being very careful to read the label and avoid anything that has 'partially hydrogenated' oils. Canada was supposed to come in with stricter guidelines (under 0.2 or 0.3 grams could be labelled 0) but they caved under pressure. As Nupur says the natural trans fats are not bad for you. In Germany they recently showed a TV report saysing that an intake of small amount of butter (natural trans fat) is actually ok for you! Oh, I saw this product being advertised recently on TV. I'm guilty of frozen veg once in a while and make sure the ingredients are just veg (and nothing but the veg)...at most, some salt in the ingredients is acceptable. Usually get mine from Trader Joes. Thanks, Alanna, for keeping so many balls in the air -- taste, appearance, preparation, weight impact and health. Takes all of them to make a good food. For my comments on trans fats, http://vitasource.blogspot.com. Thanks so much for the info, Alanna! I'll be sure to read my labels next time I go shopping. Nupur ~ Thanks for the primer, that's my understanding, too. But of course what's happening, with the proposed legislation, is that the baby's being thrown out with the bath water. Casper ~ And apparently the food companies are fudging portion sizes to make sure they're under .5 too. S'kat ~ Isn't it, though? Tigerfish ~ Good for you! Lady A ~ Me too, label-reading that is. I was also reading an article (in nyt, I think) about the natural and artificial trans fat. It's interesting to read it here... Thanks for the information on the steamed veggie packs, I've seen them in stores and was thinking of trying it. Now I'm not so sure. as casper said, anything under half a gram per serving can be labelled 'zero'. it's ridiculous. that's the case with all store-bought tortillas, and some crackers as well. they say 'zero transfat', but the ingredient list shows all kinds of nasty things. a recent issue of 'nutrition action' states that the sodium level in bird's eye pre-cooked veggies is obscene. Is anyone worrying about volatilization of the plasticizers in the plastic bags of "steamfresh" foods? Anyway, I flipped the bag over and read the ingredients. All the seasoning (sugar, salt, garlic powder, etc) was there…but then I came to the last ingredient, which read “Soybean oil.” Not “partially hydrogenated soybean oil” or “hydrogenated soybean oil,” just “Soybean oil.” Well, I know that soybean oil itself, in its unhydrogenated state, is not a trans fat, so I thought “heck with it” and bought a bag, which I promptly ate as a side dish for dinner. Those cauliflower were DELICIOUS. However, I began wondering if Birds Eye changed their recipe/seasoning and no longer use hydrogenated oils, or if they are actually simply leaving out the words “hydrogenated/partially hydrogenated” to fool consumers (which I’m fairly sure isn’t legal, but probably possible.) Are you sure, when you bought them in March, that they had the hydrogenated oil in them? I thought that was really interesting that my bags just say “soybean oil” alone! That's great news, Tara, thanks so much for the update! I just bought these and made a stupid assumption that they were frozen vegetables and nothing else. I refuse to eat anything that says "natural flavoring" and then doesnt state what that is. Why does the fda allow such secrecy? I wanna know what Im eating. I have severe allergies, especially to things like msg...how do i know that is not part of the natural flavoring? Thanks! Im gonna return it! Funnily enough, my bag here doesn't even mention Soybean oil at all. I'm in the UK though, so I'm not sure if the product might be different over here but I doubt it. Hopefully they'll have this sorted out. The rest of the ingredients look fairly tame and they're claiming "2 of 5 a day" with one bag. Either that or they are outright lying but hopefully not, eh? I had bought a bag of Birds eye steamfresh and after digestion I had a sever stomach ache and bad stomach cramps. I thought this to be gas the first time I ate some. Wrong! Today I bought another bag and the same thing happened! It was so bad I'm never eating this again. The ingredients list was far too horrible for me. 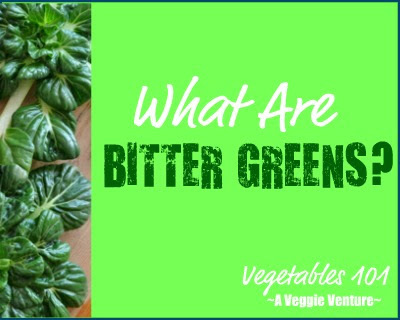 I'm sticking with fresh or safe frozen veggies. Birds eye stuff is made to kill. I appreciate the info, but I just checked a bag of steamfresh veggies and there was no mention of trans-fats or anything other than vegetables as ingredients! 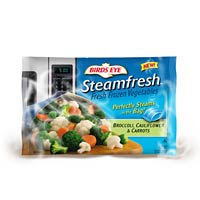 Perhaps you were looking at a bag of the steamfresh veggies with a sauce or something extra along those lines? elle moss...the food and drug administration. They regulate the quality of food which correlates with needing the drugs later down the road. Slowly sickening and killing consumers. Food and Pharmacy don't belong on the same street, let alone in the same building. I just want to report getting aspargus cuts that were hard enough to choke you. Could be very dangerous for children and animals.